This shirt recently caught my eye, and I think it’s pretty cool. First of all, I like the idea of bigfoot tee shirts in general. Tee shirts can be considered sort of a billboard for the subject of bigfoot. We all should “wave our freak-flag high.” Also, I find that bigfoot stories and leads come out of the woodwork when I have a bigfoot tee shirt on. I guess it sort of gives permission for others to talk about the subject with another bigfoot fan. This shirt in particular is cool because of the footprint. To me, it strongly resembles the Laird Meadow casts. Don’t you think? Disclaimer: This page was made possible by a partnership from Amazon Associates who grants me a small commission on what you buy through the links. But, all opinions and reviews are my own, and these products wouldn’t be featured if I didn’t think it could help you be a better-dressed bigfooter. Last May at the Ohio Bigfoot Festival, I was pulled aside for a few moments by Kevin Patrick for a short on-camera interview. Kevin recently shared the completed interview below with me. He was very patient and persistent with me as he waited for me to take care of customers at my merchandise table or people wanting selfies. If you’ve been to the Ohio Bigfoot Conference, you know that can be a long wait. The vendor room is packed to capacity for much of the day. 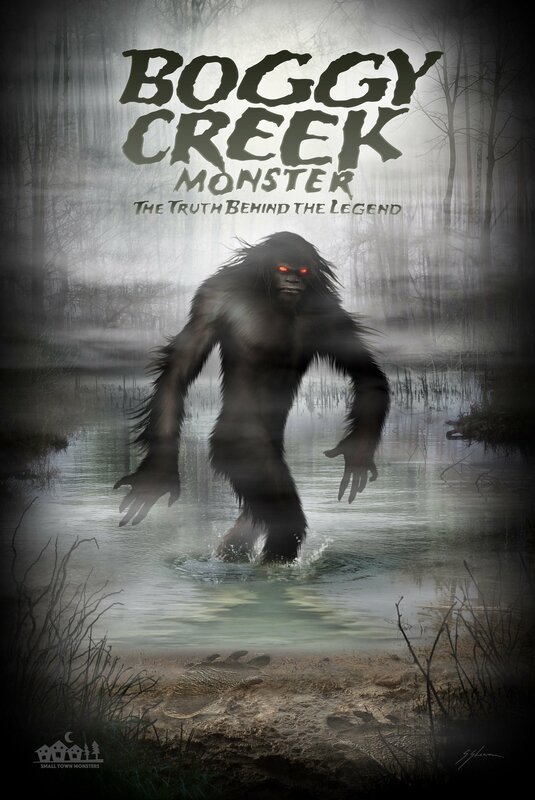 I will be appearing at the Ohio Bigfoot Festival again this year on May 4, 2019. I understand it has already sold out, as it does every year in less than a couple hours. Keep your eyes on the event’s Facebook page, though. The organizer sometimes has cancellations or other opportunities to release more tickets. Bigfoot researchers face a conundrum of life-and-death importance. We pretend that it’s not true, but it is. The only way that sasquatches will be proven as a real species is for a dead one, or a large portion of one, to be brought in for scientific scrutiny. That’s right, a dead one is the only way this mystery will be solved. We might hope that DNA evidence will prove the species exists without having to kill one, but this is unlikely. Novel DNA would only draw the interest of those specialists that understand DNA data to begin with. I suppose that when enough specialists start making enough noise about the likelihood of bigfoots being real, then perhaps an organized party would be dispatched with the mandate to take a specimen. At the end of it all, though, is a dead one. This post isn’t about whether or not that point of view is morally or philosophically right (we all have our opinions), but rather about the dangers that obtaining a specimen holds in store for the person holding the gun. It is a position that I would never want to be in, and one that could cost the hunter his/her own life, as well as that of the sasquatch in the cross hairs. The first danger that comes immediately to mind is the general hazard of being in the woods. Since most seasoned hunters are pretty well equipped to deal with the elements and animal dangers in the woods, I’ll skip this one. Personal safety should be seriously considered AFTER the shot is fired at a sasquatch. If a hunter managed to shoot one of these things, it is most likely that the shot would not immediately kill the sasquatch. So, the hunter would effectively manage to seriously injure and piss off a cunningly intelligent, blindingly fast, and brutally strong monster that probably knows where you parked your car. Think about that walk back to the car, probably in the dark, and probably in difficult terrain… The wounded sasquatch is out there somewhere, and it isn’t happy. In the unlikely event that the sasquatch is brought down with one or two shots, can one be sure it was alone? Primates, whether we’re talking about humans, baboons, or apes, are social animals. When a bigfoot vocalizes or knocks, is it doing that to itself? Probably not. They’re doing that to communicate with the other bigfoots in the neighborhood. If there are other bigfoots in the neighborhood, I wonder what they’d think about someone killing a member of their family group? They might feel much like what you would feel like under similar circumstances: vengeful. Dr. Grover Krantz was an advocate of killing a sasquatch to prove their existence. Dr. Krantz, an advocate of killing a sasquatch to prove they exist, was once asked what he’d do after killing a sasquatch. He thought for a moment and replied, “Reload.” Good advice. Think Ape Canyon. Think about the Bauman Story. Think any number of mediocre squatchploitation movies. This could be the immediate consequences of such an action. And finally, think about misidentifications. What if it’s not a bigfoot that is being shot at? What if it’s a person in an ape costume? What if it’s a person in dark clothing? While laws prohibiting the hunt of sasquatches are rare, it is illegal to shoot morons in ape costumes everywhere in America and Canada. Hunters out there are probably saying that they know about the first rule of hunting, which is to never shoot at anything unless you are absolutely positive you know what it is. That may be true, but some hunters aren’t as smart as you probably are, and mistakes happen. It’s possible that somebody might take a shot at someone thinking they were a bigfoot. HELENA, Mont. – A Montana man told authorities Monday that he had been shot at while doing target practice because a man mistook him for Bigfoot. The 27-year-old alleged victim said he had been putting up targets on public land in the North Hills on Sunday when bullets started flying. He told police a bullet hit about 3 feet to his left, and then another to his right before he ran for cover and continued to hear more shots. The man said he then confronted the shooter, who was in a black Ford F-150. The shooter reportedly told him that because he wasn’t wearing orange, he thought he was the mythical creature Bigfoot. “I don’t target practice, but if I see something that looks like Bigfoot, I just shoot at it,” the shooter said, according to the victim. For the rest of the article, click this link. I received an email from a man who lives in Tillamook County about a footprint find near Munson Creek. About a mile back from the gate on Munson Road, a series of footprints was found. No measurements were taken of the step nor stride length. The trackway was followed for about 50 yards until they were lost. The witness returned to the location the next day, but heavy rains had all but destroyed the footprints. No casts were taken from the site. The witness reported the tracks measured 16 inches long, and 7.5 inches wide. However, the partial print in the gallery below with the measuring tape next to it indicates that the print was actually in the realm of 13 or 14 inches. Perhaps the witness measured a track with some slippage or elongation due to the substrate. Perhaps the shorter measurement in the photographs is due to the lack of impression in the heel. This is unknown. The photograph above was taken by the reporting witness, but the other two photographs (see gallery below) were taken by his companion with him that day. Other sightings have occurred in this same area over the years. In fact, just a month later and only two miles away a logging truck driver reported seeing a tan bigfoot running through timber. The driver initially thought it was an elk but saw it was on two legs. The sasquatch seemed to raise an arm towards the driver “almost as if it was acknowledging” the driver and turned off into the trees and disappeared. Back to the footprint index. Over the years, I have spent a lot of time in the woods at night trying to elicit vocalizations from sasquatches. To get a bigfoot to call back, I usually make sounds of my own in hopes of tricking a sasquatch into thinking one of their own species is calling. I might try howls, screams, whoops, or any number of other vocalizations. Usually, nothing calls back and the night is quiet for long stretches of time. However, every once in a while a vocalization immediately rings out in the night suggesting a sasquatch was within earshot (or some other animal, like coyotes). Immediate call backs are rare, though. More commonly, a period of time passes, and a vocalization happens when one least expects it (which is a good reason to have an audio recorder constantly running). These vocalizations could happen a few minutes later, or quite a bit later in the night. I’ve often speculated why this might be true, thinking the sasquatch was far away and wanted to get closer to the source noise (my vocalization), or perhaps wanted to move to a better acoustic position for listening our projecting sounds. A new hypothesis has now arisen from the study of another ape species, the orangutan. Researchers exposed wild orangutans to models of predators (like tigers) and waited for alarm responses. As it turns out, the closer the predator was to the orangutan, the longer it waited to vocalize its alarm call. Also, the younger a female’s infant was had bearing on when the orangutan would vocalize. In many cases, the vocalizations would come long after the predator model was removed. Is this what is happening with sasquatches and their delayed callbacks? I’m not sure. However, it is certainly an interesting possibility that should be considered while doing field research. Just your presence in an area would likely be considered something of a threat for a sasquatch, so delays in responses should probably be the norm in this case. I think the only takeaway for us researchers would be to cultivate patience when waiting for callbacks. Too often I’ve been in the woods and my colleagues have urged me to move on after only a few minutes of listening. I’ve always thought that a minimum of 20 or 30 minutes should be spent listening quietly for responses, and this study supports my gut feeling on this issue. That the sasquatch might have the cognitive ability of displaced reference should come as no surprise. After all, they are likely a hominin like us in many ways, so they should show many of the same cognative features that we do, both morphologically and behaviorally. As we learn more about bigfoots, I will not at all be surprised when better documentation arises suggesting they have a language or some sort of proto-language with which they often chat each other up about stuff in the recent past or near future. As a final note, I strongly suggest all bigfoot researchers dive deeply into the sciences of primatology and paleoanthropology. It is only by studying the context from which sasquatches arose that we will properly assign them their perch in the brushy limbs of human evolution. 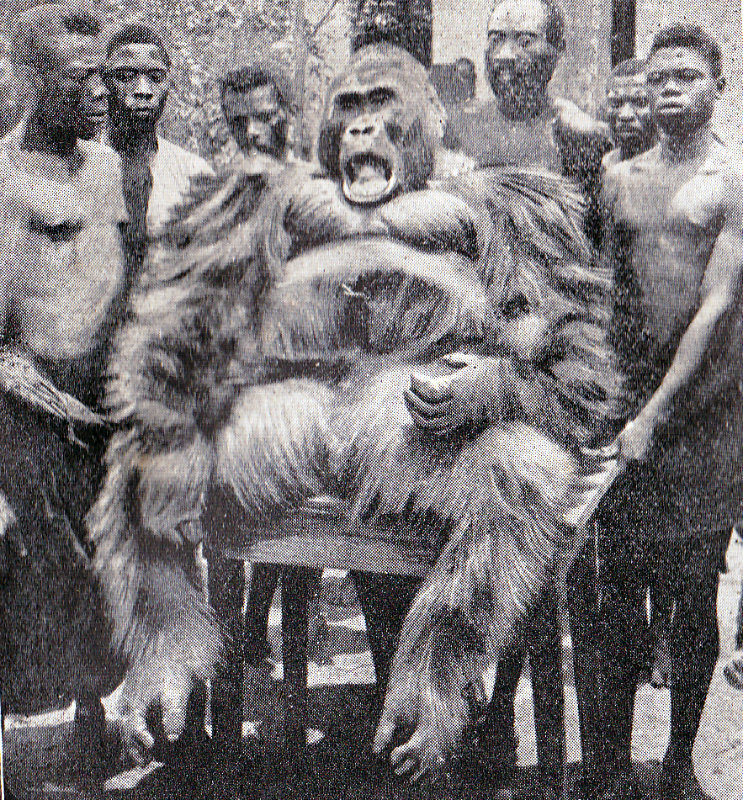 Studying the other apes will give insight to sasquatch behavior, as Dr. Bindernagel showed in his excellent book. Studying sasquatch behavior will shed light into what it means to be human by comparing and contrasting them with ourselves. The study is available as a PDF directly from Science Advances, or you can click the link below to read a shorter article summarizing the journal article. It’s easy enough to spot similarities between orangutans and humans — the “man of the forest” can certainly act human, and they share our big brains, social structures and even opposable thumbs. It shouldn’t be too surprising, since we also share about 97 percent of our DNA with the great apes. But a new finding, published today in Science Advances, suggests we may have even more in common than that, as orangutans showed the capacity for a form of abstract communication we’d never seen before. It’s a finding that reflects not just the apes’ abilities, but may also shed light on how language evolved in the first place. While many animals can communicate with each other, only humans seem to have actual languages, a hallmark of which is the ability to talk about things that aren’t there. The linguist Charles Hockett called this phenomenon “displaced reference,” since whatever the speaker referred to was displaced in space or time. Besides humans, only honeybees had been observed to engage in this behavior, communicating the location of food via dance — and it’s not really a function of cognitive abilities, either. Great apes, such as orangutans, have displayed the capacity for displaced reference, albeit only in captivity.